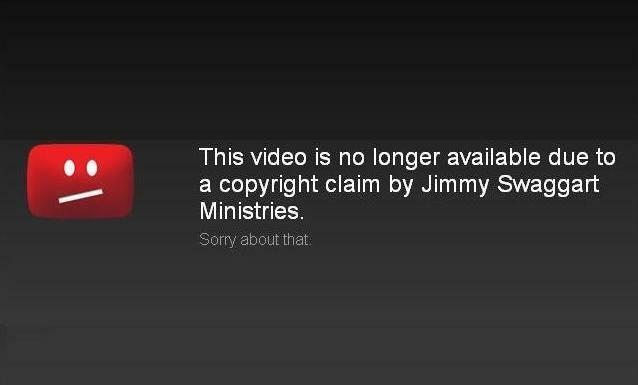 Jimmy Swaggart's SonLifeTV Subscribes To FMHCCI YouTube Channel! The following letter-form was brought about as a means of teaching my children the Word of God through the mail. And of course, quite naturally so, that’s the reason I begin these letters with "Dear Children" and end them with "Love Dad". So for the rest of you who participate in these weekly messages, please keep their original intended purpose in mind. Praise God! 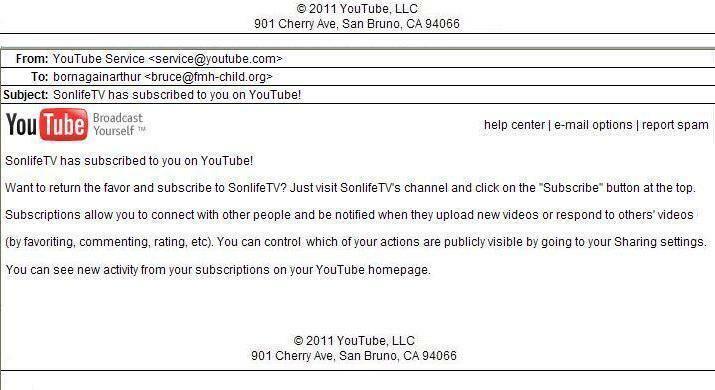 This morning I was amazed to find an email from YouTube in my mailbox. 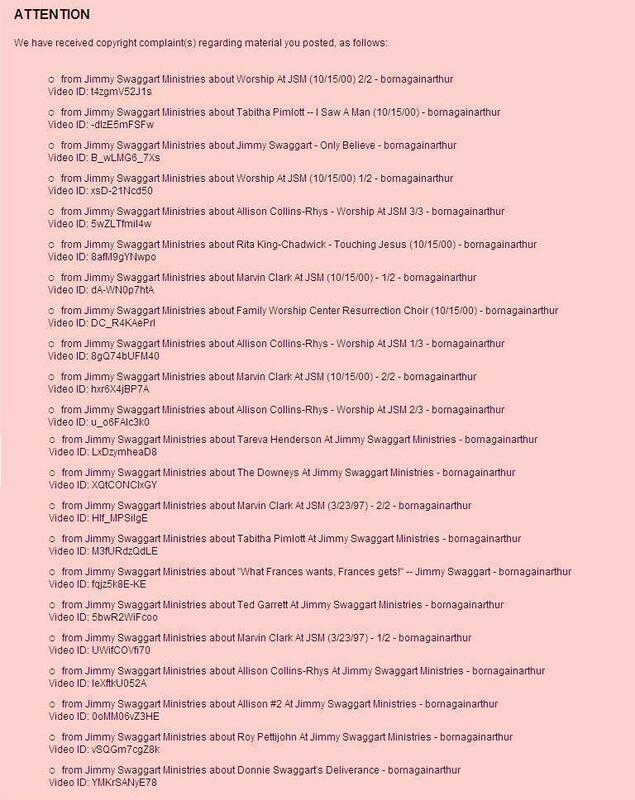 But what actually made it so amazing was that it notified me of the fact that the Jimmy Swaggart Ministries’ “SonLifeTV” YouTube Channel has subscribed to the FMHCCI Ministries’ “bornagainarthur” YouTube Channel. Could it be that Jimmy Swaggart is finally starting to take notice of what “thus saith the Lord” through us? I mean it’s been over nine (9) long years since the Lord had us to start posting our “words of correction” to Jimmy Swaggart and his ministry via the Internet… but yet there has been no observable positive changes at JSM to date. Is it possible that our most recent YouTube videos are starting to make an impact as they direct the viewers to our “Jimmy Swaggart Sermonets”? In closing, don’t be suckered into believing Jimmy Swaggart’s “cross” – it will only damn your soul to the fires of Hell forever. 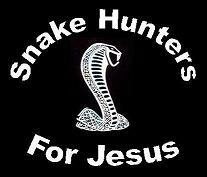 Keep on keeping the faith in Jesus! "ALL FOR THE LOVE OF JESUS"
Home | Maggots And Fire? | Saved? Don't Lose It!